Do You Have Missed CX Opportunities? Are there any products or services that will benefit your customers that you know your business should be offering? What are your missed opportunities, and what do those mean for the customer experience? This summer, a good friend of mine recommended that I try Teavana. Have you ever been there? Fabulous store! They have every tea (loose leaf) imaginable, and they get new flavors all the time. Not only that, but they sell all of the gadgets that you need to brew that perfect cup! Even better, the experience at the store is amazing. The salespeople greet you as you walk in the door. They have samples that they are happy to pour for you. They are super friendly and informed. They provide instructions for how to brew your tea just right. And the teas are awesome. As our name implies, Teavana's goal is to be a heaven of tea and to offer our customers the healthy lifestyle and wonderful tastes of tea. This unique name is meant to describe the experience each customer has with our tea and our staff. I could think of a few more ways to make the in-store experience a bit more nirvana-ish, but I'll stick with the topic at hand. In general, I have no complaints about the atmosphere, but reading that sets some expectations that I'm not sure are met when you enter the store. Back to tea samples! Samples are great. You can sample most any tea they offer; they usually have several already brewed and on display for you to try. (The samples are offered in small "cups," perhaps 1-2 oz. servings.) From a customer perspective, these samples facilitate the buying process and ensure that the purchase is one that meets their needs and expectations, i.e., ensures nirvana, er, Teavana. According to Arbitron, product samples have a huge benefit. Here's what they discovered. Product sampling reaches a large audience. Product sampling is undeniably engaging as a marketing method. Sampling offers a same-day sales lift. Product sampling goes beyond same-day sales lift by creating a strong impact on future purchases. Product sampling effectively acquires consumers who are not familiar with a product. Product sampling persuades consumers to buy products they heard of but never bought before. Sampling retains customers and builds brand loyalty. So, great people, great products, great samples, great in-store experience. What's missing, Annette? Or have you fallen off your rocker again? can order a cup of iced tea? 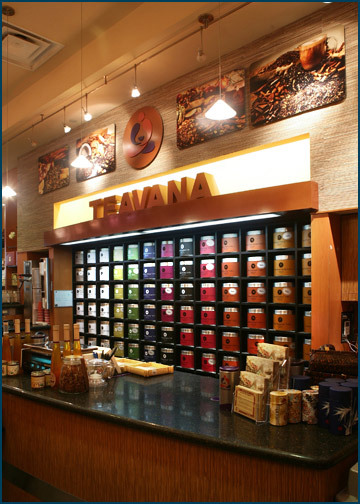 Did you know that Teavana will also brew a full cup of tea for you? Hot or iced? No? I didn't either. I've been there a couple of times, and simply because my aforementioned friend had told me about this did I know. Ironically, the last time I was there, I was with her. We were in the mall, and I wanted some iced tea. We went to Teavana because she told me they could brew a cup for me; otherwise I would have gone across the way to a Starbucks to get my "usual" iced green tea. Look at the picture to the left. Is it clear from this image of the checkout area that you can order/buy a full cup? They make it very clear that you can try samples because there are sampling stations around the store. But it's not real clear that they can prepare a full cup for you. "Opportunities are never lost; someone else will take the one you missed." It's great that this aspect of their business is passed along by word of mouth, but what happens with all the new business that walks through the door that didn't come as a result of a referral? Missed opportunity, no doubt! I realize their business is selling loose-leaf tea. But they do provide this service. And when there's a Starbucks within steps of every location, would this be considered a missed opportunity? Have you looked at the way you serve your customers? Your store offerings? Your products? Are there any missed opportunities? 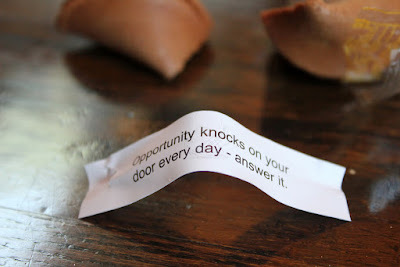 Most importantly, if you haven't found any missed opportunities, have you asked your customers what they think? They may answer this question differently. "Nothing is more expensive than a missed opportunity." -H.Jackson Brown Jr.
How do the first week of school and the school experience in general relate to the topic of customer experience? My kids started school a couple weeks ago, and there I go thinking again! 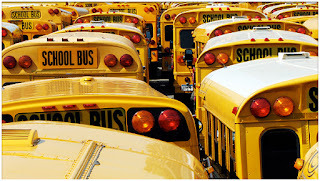 Yes, it got me thinking about some of the customer experience lessons we can glean from this "back to school season." Getting back into the school routine is a crazy time for parents, students, and teachers. But there are some key things that I noted in the days that led up to the first day, and the first week, of school that are important lessons that can be shared more globally. I thought I'd put the attributes into two different categories because some of the items relate more to the customer experience, while others relate perhaps more to the culture within. The following items are critical to getting the school year off to a good start, for all stakeholders: teachers, administrators, parents, and students. You can easily see how you should be applying them to the customer experience. You probably don't normally think about organizational culture when you think about your child's school, but it exists there, as well. Did I miss anything? In what other ways does the back to school experience mirror the customer experience? What else can it teach us? Earlier this week, I wrote the first part of this two-part series that covers my take on Dr. Stephen Covey's 8 Habits and how they can be applied to the customer experience discipline. I covered the first four habits in that post; today I'll start with habit #5. Do your homework. Research your customers and your marketplace. Understand who your customers are and what their needs are. Then clearly communicate your message, your purpose. Help your customers understand your Why, so they can align themselves with your organization, your brand - and become a part of something bigger. Taking it down to a more-tactical level. From a customer service perspective, listen to your customers and understand their issues and concerns. Be empathetic. Then help customers understand how you'll resolve the issues and take care of them. Communication is a key takeaway for this habit. And don't forget that actions often speak louder than words. If you plant two plants close together, the roots co-mingle and improve the quality of the soil so that both plants will grow better than if they were separated. If you put two pieces of wood together, they will hold much more than the total of the weight held by each separately. The whole is greater than the sum of its parts. One plus one equals three or more. The essence of synergy is to value differences - to respect them, to build on strengths, to compensate for weaknesses. Think about your employees. Think about hiring people with different values and backgrounds - and what that could mean for creativity and design thinking in your organization. Think about teamwork. Think about how, working together or collaborating, they can build something much more wonderful than a single mind alone can create. Beyond that, think about the value of collaborating with your customers to create not only the best products but also the best customer experience. When both parties come together, they create something new. This habit is about finding balance and undergoing a constant renewal. Dr. Covey says that "sharpening the saw" means preserving and enhancing your greatest asset, you. Investing time in yourself. In the customer experience discipline, I equate this habit to thinking of the customer experience as a journey. It's not a "one and done." It's a journey. It's evolving to react or to respond to ever-changing or emerging needs and trends. It must undergo a constant renewal. Innovation and continuous improvement are critical. The 8th habit may be one of the most important ones. This one reminds us of the importance of leadership setting the tone and inspiring the organization. The sub-title of The 8th Habit is "From Effectiveness to Greatness," and in the book, Dr. Covey encourages leaders to find their voice, discover their passion. Be a model people are inspired to follow. Make a difference. And move beyond effectiveness to greatness. 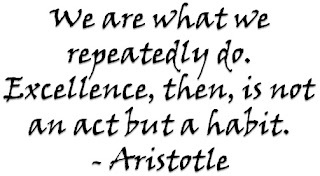 In order to go beyond being effective to being great, Dr. Covey states that there are five cancerous behaviors that inhibit greatness and must be stopped. I don't need to explain any of them for you to understand how toxic they can be not only to your personal or leadership greatness but to the organization as a whole. If your company's leadership or employees engage in any of these behaviors, your customers will know. Their experiences will be less than stellar,without a doubt. I hope you've enjoyed my take on the 8 Habits as they relate to the customer experience discipline. I'd love to get your thoughts. Do you view any of them differently? How would you apply them within your organization? The passing of Dr. Stephen Covey in July was one of those moments that caused a lot of people to reflect on their lives and on how effective they are, both personally and professionally. I was moved to reread his book, The 7 Habits of Highly Effective People. It's amazing that it has been on USA Today's bestseller list for 10 years! 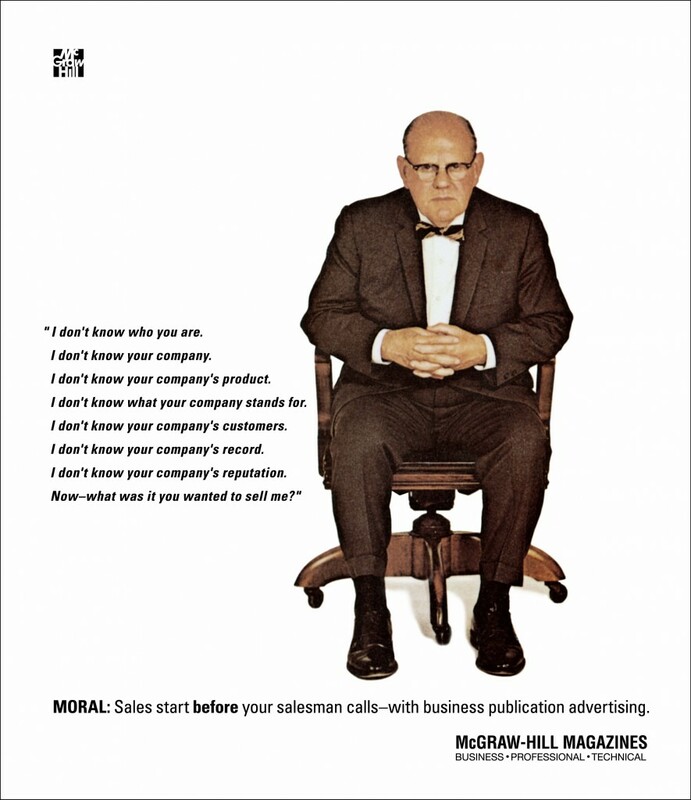 And it has been named the #1 most influential business book of the 20th Century. Easy to see why. While he's best known for The 7 Habits, Dr. Covey also published The 8th Habit. More on that in a bit. I know I'm not the only blogger out there to pay homage to him by taking his wildly popular 7 Habits and repurposing them for the topic at hand. Unfortunately, with his passing, it was a great reminder to revisit those eight habits to see how they are being applied to life in general today. As I did just that, I couldn't help but apply them to the customer experience discipline, as well. How do they relate to creating an effective customer-focused culture? I think it's a no-brainer; I'll take a look at all eight this week. Before I do that, let's first review how Dr. 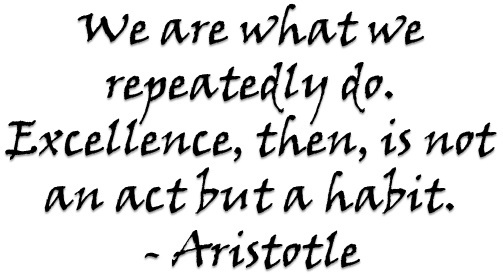 Covey defines habit. He states that a habit is "the intersection of knowledge, skill, and desire." Knowledge is the what to do and why. Skill is the how to do it. Desire is the motivation or the want to do. Think about your employees. Think about these principles aligned with hiring the right people. Think about these principles as they relate to the employee experience. Think about how effective your employees would be if they came wired with all of these principles! Not only do they apply to your employees, the core of your business, but also to the business, in general. Start with your why. What's your purpose? It sets you apart and tells us where your passions lie. Let's dive into the eight habits. I'll cover four today and the rest later this week. I've written about proactive service a few times. Take responsibility. Own the problem or the issue. Own the experience. Think about how you interact with customers. If there's a known problem with your product, do you get out in front of it? Or do you wait for your customers to call you about it? Being proactive is definitely a delighter in the customer experience world. Don't dwell on what you can't do; focus on what you can do, instead. In The 7 Habits book, Dr. Covey compares reactive with proactive language. I modified some of what he provided to be relevant to frontline staff responses to the customer. I don't think anyone can dispute that your customer experience efforts must begin with the end in mind. Define your objectives. Know your goals. Communicate your goals. Create a roadmap. Outline a plan to accomplish what you are trying to achieve. In yesterday's CXO chat, we talked about the virtues of customer journey mapping. This is a great place to start on your CX Journey; it takes into account where you are trying to go and what you are trying to achieve. Ensure that everyone knows what you are working toward. CEO Hal Rosenbluth chronicled the incredible success of his travel-services firm, Rosenbluth International, in The Customer Comes Second. Love that title! Who comes first? Don't be silly, says King Hal; it's employees. That is -- and this dear Watson, is elementary -- if you genuinely want to put customers first, you must put employees more first. Employees are critical to delivering a superior customer experience. Make sure you put them first. Make sure you focus on the the employee experience. 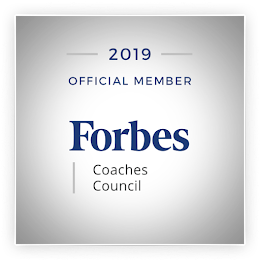 This includes thinking about your: culture, approach to recruiting and onboarding, training, recognition, and communication, to name just a few items. Hire the right people to ensure their passion fits with your culture and translates to an awesome customer experience. Win-win refers to a mutually-beneficial or mutually-satisfying situation. Think about a culture that is a win-win for employees and the company in general. Consider products and solutions that are mutually beneficial for the customer and the business. Win-win means that all parties feel good about the situation and are committed to the situation at hand. Win-win in my mind actually looks more like a win-win-win in the customer experience world. A win for employees means a win for customers means a win for the business. Treat employees as you would treat customers, and vice versa. That's a win-win. I'll take a look at habits 5 - 8 in my next post later this week. Are you searching for a job? If "Yes," do you ever feel like you just threw your resume in the ocean, into a sea of other candidates, only to wait forever for a response from the recruiter or the hiring manager? Did you feel like you had a great interview, but there was no follow-up -- and no response to your follow-up? Trust me. You're not alone. Like many others, I have a ton of friends looking for jobs, and the stories are consistent: companies are missing the boat on recruiting and how that impacts the brand experience. They just don't get it. Let me explain. I'll briefly summarize the experiences a few friends had, though my own job search earlier this year proved to play out the same. They've sent resumes for posted positions with no acknowledgement of receipt of their resumes; they've interviewed with companies with no follow-up from the corporate recruiters or the hiring managers; they've sent thank you notes and inquiries about status with no response; and they've been pursued/recruited with no subsequent follow-up communication to close the loop and set an interview time (or just to say "No thanks"). There are probably other scenarios, but that pretty much sums it up. Companies should be ashamed! Yes, I know, they are inundated with resumes. But seriously, come on! Give someone the task to follow up with these candidates. You are hurting your brand if you don't follow up. Especially during this time when so many people are looking for new opportunities, you are being touched by so many potential customers. O, did I say that? I meant, employees. No, actually, I also mean customers. Would you hire your customers? Even if you're not specifically recruiting among a pool of known customers, know that any recruit is likely/potentially a customer of yours. Employees want to work for companies with which they are aligned (purpose, values, etc.). This means that they are likely also customers of those companies. Candidates are customers or potential customers. Yup. I said it three different ways, but that's the bottom line. The way you handle yourself during the recruiting process leaves a lasting impression about the company on a candidate. Will the candidate want to work for your company, even if you make them an offer? (Not likely that unresponsiveness will cause that, but some of the other wacky recruiting tactics that I've heard about might.) 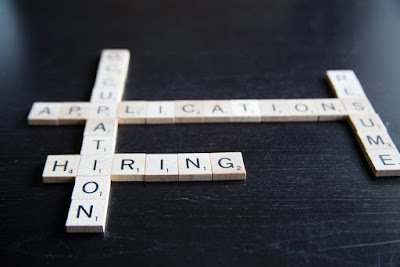 Will he or she recommend employment at your company to others based on the recruiting process? Will they share their experiences with friends and family, i.e., other future/potential recruits and customers? Will the individual rethink that purchase from your company, given a comparable option? When your HR folks are recruiting, they are a touchpoint in the employee lifecycle, but indirectly they become a touchpoint in the customer lifecycle, as well. They are representing and selling the brand, the brand promise, and the vision of the company, but if actions don't match words, if you're not living the brand, you're living a lie. And that lie is easily perpetuated at this particular touchpoint. One final thought: Do you survey your candidates after the recruiting process? If not, why not? Would you be embarrassed by candidates' feedback about this process? Is this a broken process in your organization that clearly needs to be repaired? Don't just map your customer journey; map your employee journey, as well. If you find that the journey starts out pretty rough, take a look at those interactions and fix the root cause before the word gets out that it's badly broken. I'll leave you with this, a quote from Jonathan Ive in which the word "customer" could easily be swapped out and replaced with "employee." "If you're not trying to do something better, then you're not focused on the customer, and you'll miss the possibility of making your business great." Today I'm pleased to share with you a guest post by James Lawther. It is unusual for a riot to break out at a ballet. But that is exactly what happened when Igor Stravinsky’s ballet “The Rite of Spring” was first shown a hundred years ago at the Theatre des Champs-Elysees in Paris. For its time, Stravinsky’s composition was more than avant-garde; the melodies were discordant, based on Lithuanian folk music and the choreography was at best unorthodox. It was a little too much for a 1913 Parisian audience. As the first chords sounded, there were disturbances within the audience, and before long the theatre became a battlefield. In the words of the conductor Pierre Monteux, "Everything available was tossed in our direction, but we continued to play on." About 40 theatre goers were thrown out of the show by police. Not a resounding first night success. But history has vindicated Stravinsky. Despite his first-night critics, "The Rite of Spring" is now regarded as an innovative masterpiece. I guess that, like Stravinsky, you want your customer’s experience to be the best it can be. You want to be innovative, to deliver new and enticing services, to excite and engage customers both new and old. Your customers will tell you that this is exactly what they want, too. But as Stravinsky’s experience shows, most of us don’t want innovation at all. We would far rather have safety and reassurance. We are scared of the new and unknown, and innovation must be new by definition. This causes a problem. You need to innovate, to develop novel, improved, and better services to keep and win customers. But customers are wary of the new, and scaring your customers is not great for business (unless you make horror movies or rollercoasters). It is an overused example, but even my 73 year old mother has an iPad. It is so simple to use and so intuitive that she was hooked from the moment she picked one up. Is your service innovation so blatantly easy to use that consumers can’t get it wrong? Have you run usability tests to see how customers behave (and ironed out the issues)? Over the past decade, Amazon has changed its homepage design over and over again, adding multiple services and occasionally undertaking a full makeover. But it is so familiar few of us even notice. Does your innovation change only what needs to be changed, keeping everything else the same, or have you changed for change’s sake? If you have ever had a Microsoft Office upgrade, you will know exactly what I mean. The London Eye is a blot on London’s horizon, a one hundred and thirty-five meter high steel Ferris wheel, an eyesore if ever there was one. But when it was put up, most people were too intrigued by what the view was like from the top to complain. What is the promise your new innovation offers? What is in it for your customers? How could you make it so desirable that they would be prepared to throw caution to the wind and try it? Tim Ferris has sold millions of copies of The 4-Hour Work Week. Famously, he tested different book titles using a Google Adwords campaign to see which worked best. What isn’t so well known is that, once he had settled on a title, he mocked up a handful of dust-cover designs, slipped them over other books in his local book store, and sat back to see how consumers reacted. What market research could you do to modify your idea to make it more acceptable to your customers? How can you incorporate your customer’s ideas into your service innovation? Of course, you don’t have to do any of this; you can risk it and rely on the shock of the new to carry your innovation through. But if that is your strategy, your innovation has to be very, very good. 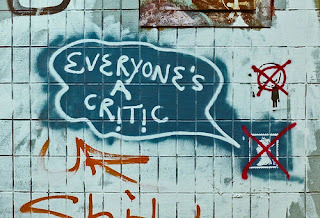 And even then, you had better be prepared for the reviews. The Rite of Spring is "a laborious and puerile barbarity." 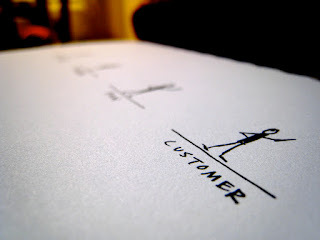 James Lawther writes about innovation and process improvement in the customer service industry at www.squawkpoint.com. You know the drill: Put the customer at the center of every conversation and every decision made by your company. How many companies are really doing this? As I sometimes do, I'm going to put a slightly different twist on "customer at the center of the conversation." It'll still make sense. I promise! When we think about a conversation, we typically understand that it has two parts: speaking and listening. It's a two-way street. I would actually add a third component: hearing. Yes, we talk; and yes, we say we listen. But do we actually hear what has been said? I think hearing requires a subsequent action or reaction. And in the customer conversation, that part is often missing. There's a lot of lip service about putting the customer at the center of every conversation, but is that really happening? Not according to this quote from Gartner. While it's been around for a while, I think it still holds true. Why else are we reading about terrible customer experiences on a daily basis. 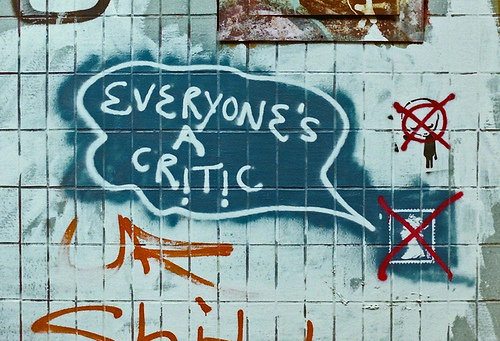 95% of companies collect customer feedback. Yet only 10% use the feedback to improve, and only 5% tell customers what they are doing in response to what they heard. Think about soliciting feedback as a conversation: the company is asking the customer questions, and the customer is answering them. But is the company really hearing what is being said? And if it is, where's the proof? There are still so many companies that are metrics-driven, whether that metric is revenue, NPS, or stock prices. How do we truly get companies to put that customer conversation at the center of all decisions, design exercises, hiring, and more? And realize that the target score/metric will be achieved as a result? That is, it would be included in every conversation within the organization. We value you and your thoughts about how we're doing. We heard what you are saying. Here's what we've done with what you've told us. In order to put the customer at the center of the conversation, companies must hear what customers are saying. When that happens, customers will start talking about the company, too. In your CX journey, have you given much thought to the customer lifecycle? When does it actually begin? Do you think the relationship between customer and company begins when a customer makes a purchase? This is an important consideration. You must understand when that relationship between customer and company begins. I don't know your company. I don't know your company's product. I don't know what your company stands for. I don't know your company's customers. I don't know your company's record. I don't know your company's reputation. Now…What was it that you wanted to sell me? 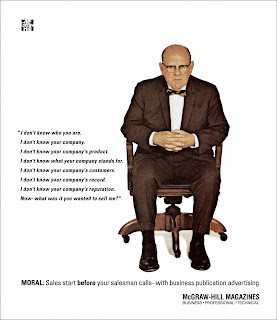 Moral: Sales start before your salesman calls - with business publication advertising. These are profound words to read, digest, and remember. The customer's experience doesn't start when the salesperson comes calling or when your customer first purchases your product. The customer experience begins long before that, when the customer realizes he has a need. By the time you try to sell something to him, it's too late. If you take a look at the customer experience lifecycle that I depicted in a previous post, you'll see that the lifecycle begins when the Need arises. That Need begets Awareness (sometimes it comes after Awareness). If you're communicating, if you're getting the word out (through messaging and through actions) about who your company is, what your products do, how your services differ, what value you bring, what needs you meet or problems you solve, and, most importantly, what you stand for, your customers will never recite the words from the Man in the Chair. I think a simple, yet important, lesson here is that companies should always be doing the right thing, regardless of the time, the place, the person, or the situation. They should always be putting their customers first and their employees more first. When you take care of your customers and your employees, it shows, and people take notice. Those people may be non-customers who have yet to identify, or have just realized, a need. When companies act with integrity always, good things happen. The brand then speaks for itself - and your customers might even speak for you. And the Man in the Chair knows who you are when you come calling. "Integrity is doing the right thing, even when no one is looking."